* A bench of Justices A K Sikri, S A Bobde and Ashok Bhushan was specially convened at "odd hours" to hear the petition which challenges the Governor Vajubhai Vala's communication to Yeddyurappa to be sworn in as CM. 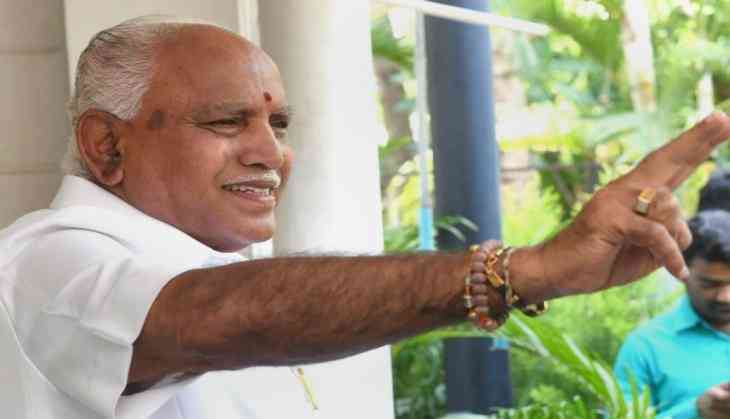 * The bench noted that it is necessary to peruse the letters dated May 15 and May 16 submitted by Yeddyurappa to Governor for claiming stake for government formation. * It requested Attorney General K K Venugopal, appearing for the Centre and Yeddyurappa to produce these letters on next hearing tomorrow at 10.30 am. * The court made it clear that its order allowing swearing-in and government formation by the BJP in Karnataka is subject to the outcome of the case before it. * It also issued notices to the Karnataka government and Yeddyurappa as it was clarified by senior advocate Mukul Rohatgi that he was appearing for three BJP MLAs -- Govind M Karjol, C M Udasi and Basavaraj Bommai.